Let’s welcome back Ted Wiprud to Dewey21C. Ted has graciously agreed to send along some guest blog entries from the UNESCO Conference in Seoul, South Korea. The Second World Conference on Arts Education has completed its work in Seoul. From May 25 to 28, delegates from 170 countries came to South Korea to discuss issues in arts education, review the Road Map that was created at the first such conference (Lisbon, 2006), and issue its new Seoul Agenda (no pun intended). 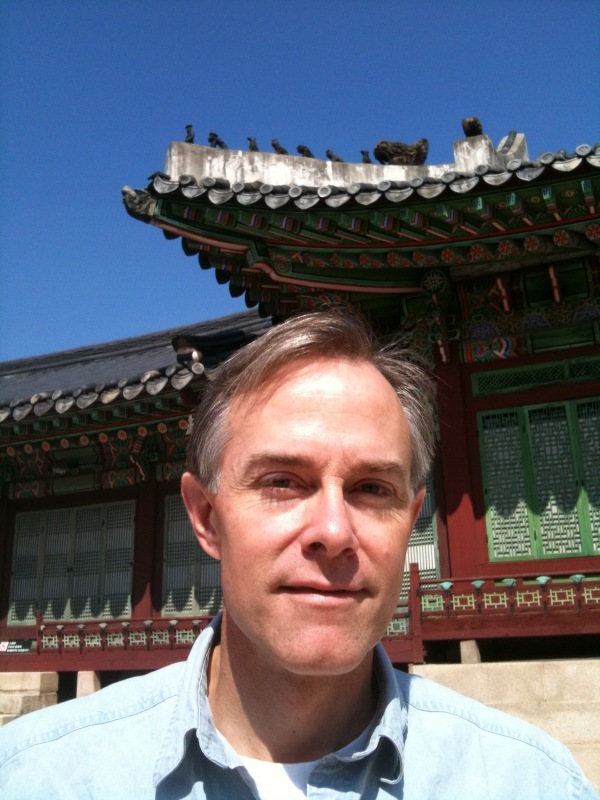 As I arrived in Seoul the day before the conference began, two New York Philharmonic teaching artists – David Wallace and Richard Carrick – were completing their work with eight Korean orphans, who, without benefit of prior musical backgrounds, had over the past seven days composed individual works for chamber orchestra. (You may want to re-read that sentence – it is literally true.) Our partner in the Very Young Composers of Seoul project was KACES – Korea Arts and Culture Education Service, a government agency employing over 4,000 teaching artists. The Korean government has an unparalleled commitment to arts education, as those who read my blog during our Asian tour in October 2009 already know. This was a major event for the Korean government. The Prime Minister, the First Lady, and many ministers and vice ministers made appearances. It took place at an enormous conference center, COEX, and the government laid on the red carpet, especially for the opening ceremony and the opening dinner. KACES and the New York Philharmonic jointly presented two concerts of the Very Young Composers or Seoul’s new pieces, performed by a chamber orchestra called Joy of Strings, to acclaim from the UNESCO delegates. But my purpose in this blog is not so much to extol the wonders of children’s creativity and the power of the approach Jon Deak has pioneered, but to report and reflect on the conference itself, since hardly anyone from the American arts education world was there. This was primarily a gathering of government officials and university academics, with earphones available for simultaneous translation into a variety of tongues. It was a far cry from the sort of gatherings with artists and educators and cultural administrators I am used to – more a reading of papers, even in the so-called roundtables, than an opportunity for hands-on engagement. Nevertheless, a great number of interesting themes emerged. Most generally, issues appointed for the conference matched closely with themes we discuss back home: creativity, capacity building, advocacy, research. But what those terms mean to different countries and cultures varies widely. For instance, in a roundtable on advocacy, it quickly became clear that the idea of lobbying was the last thing on people’s minds. From Mexico, we heard that arts education is a point of entry to cultural citizenship – what we might call access. From Trinidad, wracked by violence, we heard that arts education is a point of entry into dialogue and reconciliation. From Palestine, we heard that arts education is a point of entry for the creative individual to replace the habitual victim- a step toward nationhood. All of these presentations made our budget struggles seem suddenly parochial and petty. Yet they remind us of the enormous power of arts education, certainly when it is understood as empowering individual thinking and creativity rather than refining consumer habits. Which makes our budget struggles suddenly more important than ever. Thanks for posting your reactions to the Conference. I attended and presented (from the USA, in art museum education) and share some of your core reactions. This conference was very different than the ones I’m used to and I was also shocked by the lack of American participation. I found power in the joining together of policy-makers, academics, practitioners, and artists. I left the conference with a renewed sense of mission and purpose. Thank you for posting. I hope to see Very Young Composers come to Wisconsin.